Discussion in 'Multi-tools & Multi-purpose Knives' started by SuburbanBarbarian, Aug 12, 2018. Got a Kick for a gift awhile back. I think they discontinued it. When I'm not carrying a SAK these days, or might need pliers, I carry it. Anyone else use/like this gem? I find it useful for electrical work as the can opener/wire stripper seems more useful than the Vic flatblade/wire stripper. Sharp edges for one thing,ha ha. Simple multitool, reminds me of the original PST, but better made IMO, and more comfortable to use. Have a Fuse as well with added scissors but don't carry much because I always have the Vic Rambler on keychain. I personally have the Fuse which I have carried every single day for years. I love the old school slim rectangular profile, they're compact and aren't too wide in hand when you gotta use them. The Fuse is what I have, but I'd love a Kick just the same as I've often got a Vic Classic or LM Micra on me. Yeah, I feel modern Leathermans(Leathermen?) are like $70-$100 bricks with tools. They changed them for looks, and foolishly left the winning profile behind. They did come out with a limited run of PST's this year which is cool, but i think it should be put back into full production. I got one and carried it every now and then. It felt like an upgrade of my old PST. But, since I discovered the Rebar, I don't carry the Kick very often anymore. 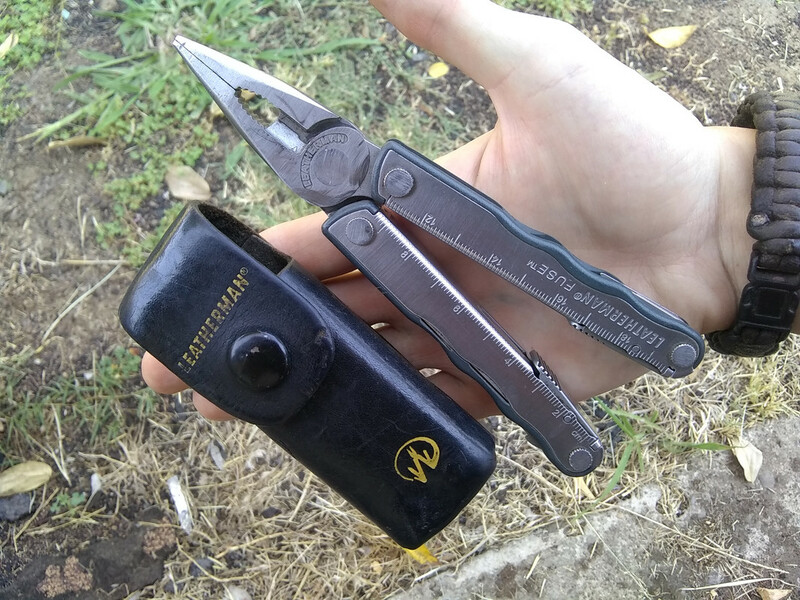 A few years earlier I gave my dad one, he's not a multitool guy, but he seems to like the Kick. He carries it when chores around the farm need to be done and if he expects to use pliers and screw drivers. For the knife he still uses his old Friedrich Herder.